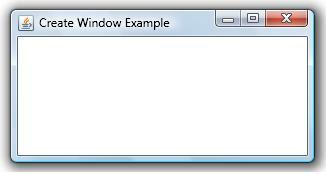 This java example shows how to create frame window using Java AWT. * and call setVisible(false) method. * to close the frame window.